MTV released the Teen Mom 2 season 7 trailer yesterday. This season, Leah Messer loses primary custody of Ali and Aleeah to Corey Simms, who welcomes baby Remi with wife Miranda. Despite insisting they were over it, both of Leah‘s ex-husbands, Corey and Jeremy, will be featured. Both, of course, have moved on with their lives. Meanwhile, Leah will most likely continue to hide her relationship with her latest guy, T.R. Dues, from viewers. Wow… Teen Mom 2 star Leah Messer has reportedly lost primary custody of her twin five-year-old daughters, Aliannah Hope and Aleeah Grace. Leah’s ex-husband #1, Corey Simms, was granted primary custody of the girls last week. Corey fought for custody last year, but when all was said and done, Corey and Leah‘s 50/50 arrangement remained intact. Continued concerns for Ali and Aleeah’s well-being prompted Corey to go back to court, and according to In Touch, he was “awarded primary custody, effective immediately” on 10/13. Teen Mom 2 stars Jeremy and Leah Calvert are officially divorced. So Leah is now 23 years old with three “girlses” and two failed marriages under her belt. Just when you think this story could not get sadder… Leah finalized her divorce over the phone from rehab, where she’s getting help for stress and depression. Leah was served divorce papers on April 14th – and she and Jeremy finalized their divorce on Monday. I will meet y’all back here in another 54 DAYS to report that Leah is engaged, pregnant, married, divorced – all of the above? – again. Are Teen Mom 2 Stars Leah Calvert And Jeremy Calvert Headed For Divorce? Things aren’t looking good for Jeremy Calvert and Leah Calvert. 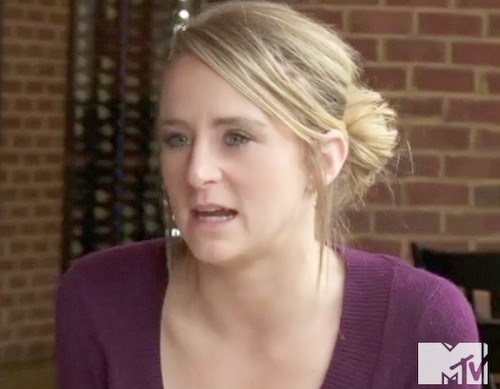 It is only a matter of time, now, until Leah Messer Kidd Please! Simms Yoo-Hoo Kidd! Calvert Kidd Again! will have three kids and two marriages under her belt. The Teen Mom 2 star turns 23 this month. Leah continued her “happy marriage” charade last week on Facebook, “Today makes 3 years marriage for Jeremy and I. 🙂 #‎ANNIVERSARY‬” Within minutes, however, “fans” and “inside sources” came out of the woodwork to call her bluff. Reportedly, the couple did NOT spend their anniversary together, and Jeremy hasn’t been wearing a wedding ring and has been carrying on like a single man for a lot longer than Leah wants to admit. Earlier this week, Teen Mom 2 star Leah Calvert led her fans to believe all is well in her family despite rumors of addiction and infidelity. “It’s such a beautiful day, and I’m so blessed to be able to spend it with my family!” she tweeted. Typical Leah, she’s pretending all is well one minute and crying victim the next minute. An “inside source” told Life & Style that Leah feels like a “prisoner in her own home” since she lives in a modular home on the Calvert‘s property. Did Leah Calvert Cheat On Jeremy Calvert With Robbie Kidd? Leah Calvert has a lot of bad habits, but the worst one is Robbie Kidd. Leah obsessed over Robbie the entire time she dated the father of her twins, Corey Simms, and she slept with Robbie one week before she married Corey. On Friday, Leah‘s second husband, Jeremy Calvert, took to Twitter to share that the Teen Mom 2 hot mess has done it again. Jeremy accused Leah of cheating on him with Robbie and announced that he is filing for divorce.